I've been so busy lately. I'm working on some things for my shop, while working on my Spring collection, while sewing things for myself, while catching up with people I haven't talked to in years. Oh yeah and more... So I wont be publishing a January issue like I had hoped. In fact I wont be publishing monthly after all. Issues are going to be coming out about 4 times a year. But they will be bigger and jam packed with fun stuff for your amusement. In order to make them as interesting as possible I need more points of view! So anyone who waould like to submit something please contact me. thatgirl a t girlispoison d o t net. I'll consider articles, interviews reviews, tutorials, photos, recipes and pretty much anything indie/crafts/fashion/DIY related. The next issue's theme is "Ultra Fem". The debate topic for the next issue is posted below. Anyone care to go head to head with me? 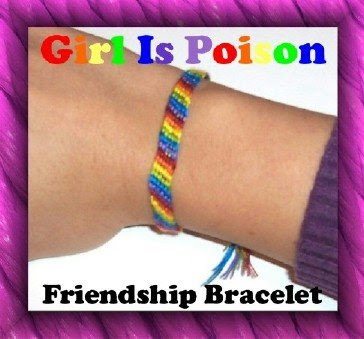 Aside from that, expect great things from Girl Is Poison this year! I have lots of plans and my Spring collection: "Classic" is coming along nicely. 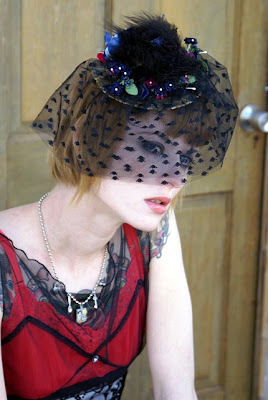 If you like vintage style but don't want to look dusty and moth eaten then this one is right up your alley. Everyone have a good time tonight, I know I will! I grew up in the 80's and it was a crazy time, not just for me but for the whole world. So many things were going on in politics, pop culture, world events and technology. It was a very interesting time to be alive as I'm sure those who lived it would agree. 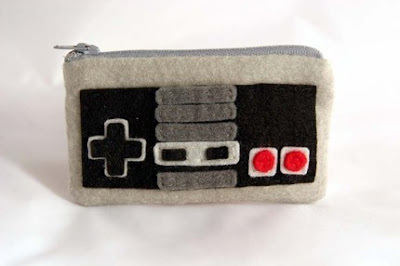 What I loved about the 80's was the music, the movies, the clothes and especially the toys! But one of the events that touched me the most as it did a lot of people was the Berlin wall coming down. I remember seeing it on TV and there were many people so filled with emotion. So many tears shed. Even though I was too young at the time to really understand what was happening, I knew that I was witnessing something huge. In the 80's everything was huge from the hair to the social concerns. People were becoming aware of AIDS. And who could forget the crack epidemic? It touched so many people's lives. It was such a society ruiner that it's amazing people are still doing it today. And of course there was the ever controversial Madonna. Back then she was still cutting edge, now, kinda gross. Anyway this being a more crafty type zine, I decided not to delve into the heavy stuff. 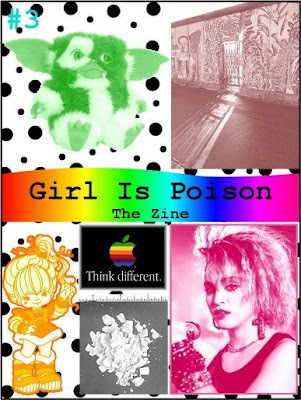 Although I could probably write 50 zines about the 80's, I decided to stick with just this issue and a few topics. but if any of you have something to add, I'd love to see it. Feel free to comment with your thoughts or send submissions to thatgirl a t girlispoison d o t net. I have known Mara, owner and designer of Indiscretions, for so long I couldn’t tell you how we began our online friendship. 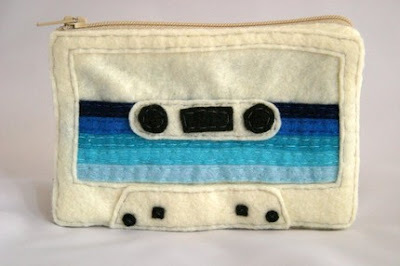 However, I’m no less glad that Mara is still around when so many other DIY designers that launched clothing labels around the same time have gone by the wayside. 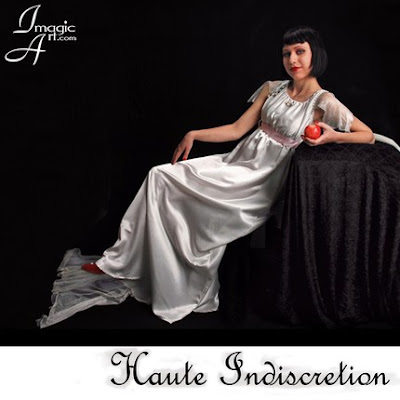 Indiscretions, and now Haute Indiscretion, continues to be a source of inspiration for me as a designer as well as for others in the DIY community. At first glance, many wannabe fashionistas probably would not know what to think of Mara’s funky and eclectic style. They may even shun it as being too “out there” or “off the wall” without seeing it’s true value. They might take her self-described, tongue-in-cheek approach to fashion as a sign that she is not a serious designer. Those who do would be dead wrong. There is a method to her madness, so to speak. 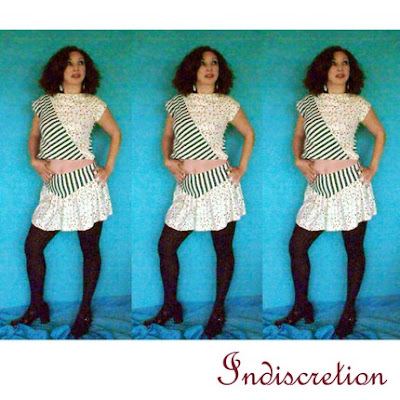 Indiscretions as a clothing line is as unique as it is possible to get. 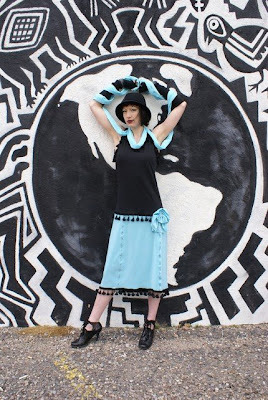 Most of her pieces are OOAK (one of a kind) and as you can probably tell from the photos below you will not find clothes like this anywhere else. Even the fashion forward clotheshorses of Japan couldn’t dream up the garments that Mara does. It’s this kind of out of the box thinking that makes Mara such an inspiration in a sea of look alike t-shirt surgeons. She manages to keep a DIY aesthetic without doing what everyone else is doing. With an MA in Costume Studies/Decorative Arts from NYU as well as a BFA in Jewelry/Metalsmithing and Art History she definitely isn’t doing what everyone else is doing; she’s in a league all her own. 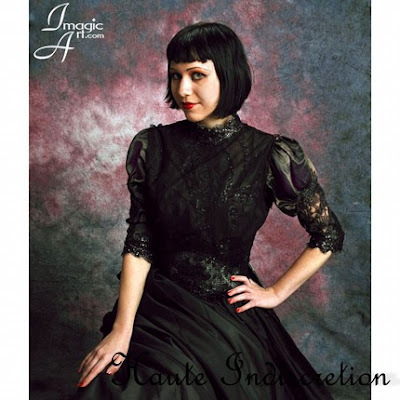 Mara’s studies at the Costume Institute at the Metropolitan Museum of Art have helped hone her skills in garment construction and pattern making, as any seamstress knows, this is not so simple a task. Her experience there also taught her a lot about textiles which, unfortunately too few indie designers know too little about. Her travels around the world have supplied her with ample inspiration as well as the rare materials she uses to bring her vision to life. As can be seen from her distinctive designs, Mara loves to experiment and does so frequently. A woman after my own heart! In addition to sewing and designing, she has also painted and even blown glass. This desire to work in different mediums adds another layer of interest to her designs. In addition to these other artistic pursuits and running her own business, Mara is a fixture in her local fashion and art scene. She has several fashion shows and collaborations with models and photographers under her belt. So I had a few difficulties with the "Indie Designer Crush" piece for this issue. I will instead be posting something else to make up for it, but since these problems only came to light recently, or rather developed over time, I don't have anything yet. But I will be working on something this weekend. So until next Monday...see you guys! I'm taking a turkey break. 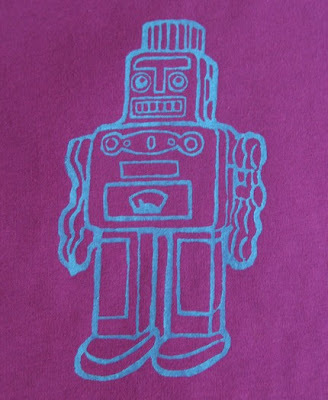 1) Wash and dry fabric to preshrink. 2) Print out the pattern pieces on standard size paper (8.5X11“). Cut them out along the bold black lines. Since these may not print exactly the same on all printers you may need to extend the lines to the very edges of the paper and then cut. 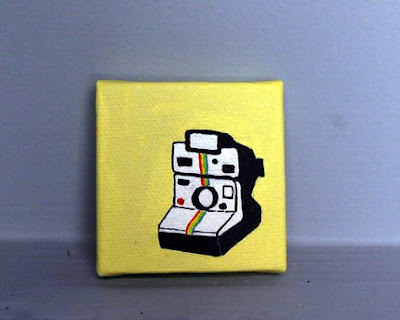 Your pieces should end up looking like this: photo. 8) Sew the sleeves onto your top 5/8” from the edge. Turn your top right side out and it should look like this: photo. I recommend banding. It makes the top look more polished and it’s super easy to do. To finish your edges by banding you will need to cut out long strips of the same type of fabric. You can use a contrasting color like I did, but make sure it is the same type of fabric or at least very similar. First decide how wide you want the band, double that and add 1 ¼“. Next measure the edge you would like to band. You can do this by laying the top flat, measuring across doubling that measurement and subtracting 1“. Use these measurements to determine the size of the strips you will cut out. Do not add anything to the length for allowance, you want the band to be slightly smaller than the edge so it fits against you snugly. For example: my neckline measured 16” straight across and I wanted a 1” band so I cut out a piece measuring 3 ¼” by 37”. Next, with right sides together, sew the two ends of the band together 5/8” from the edge. Turn it right side out, fold it in half lengthwise and iron it flat. Pin the band to your top matching the raw edges. Sew the band to your top. 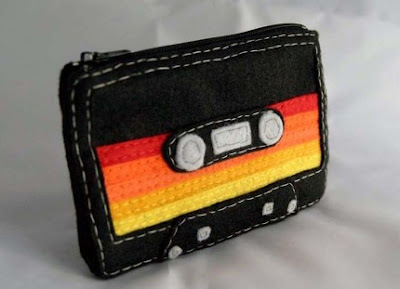 Since the band is slightly smaller you will have to stretch it a bit as you sew. Don’t stretch too much though or you’ll get an uneven look. ~As with any pattern you may have to alter it to fit your body the way you like. One way to do this is by adding darts in certain places. 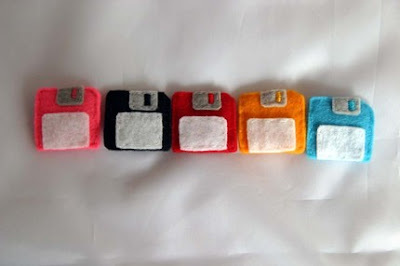 ~You can also cut one or both of the pattern pieces smaller or bigger. 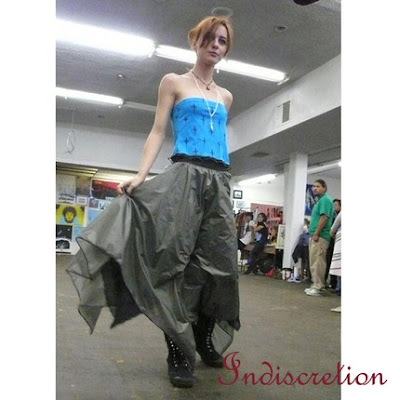 ~You can make a mini dress by lengthening the Front/Back piece by a few feet. ~Or make a long sleeved top by lengthening the Sleeve piece. 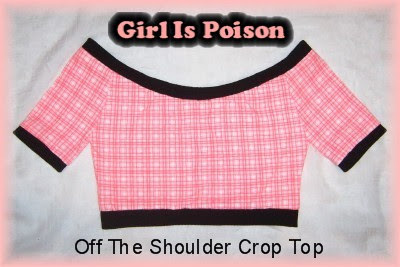 ~You can add interest to your top by cutting the sleeves in different fabric. The 1980’s were an interesting time to be alive. Though I did see the entirety of the 80’s, I was still a kid. What I do remember was vibrant and full of color. It was the time when whites could dance and still look cool, punks began to hit the scene, life was full of hope to help the world, and the horror movie genre brought some scary creatures. However, not all of the 80’s were fun and games, in some major ways, it truly sucked. I do stop and think back now and again when I hear a song on the radio. I remember Saturday morning cartoons and wanting to actually get up early to see them. I wanted to be like Cyndi Lauper while the other girls wanted to be like Madonna. I use to watch Breakfast Club over one of my friend’s house. It wasn’t always so fun. I remember the hardship my family went through, having problems with school, and not having enough money to afford the decadences that the 80’s brought about. One major thing I do not miss from the 80’s is the hairstyles. Don’t remember? Allow me to begin with the Mullet. I know it was all the rage in the day, but frankly I never cared for it. It looked like you could only afford half a hair cut. Yes a mullet is "All business up front and a party in the back (include hair toss)", but wow. Granted the Mullet has been around for a while now, but the 80’s took it to another level. Some regions of the US, it is still popular and "in style". I think it needs to be retired in a deep black hole, never to see the light of day again. The bouffant of the 80’s got more and more outrageous as time passed. The amount of Aqua Net needed just to carry out a look I personally feel attributed to several holes in the atmosphere. If you didn’t sport the proper hairstyle, then you were considered uncool. The 80’s also brought about the lifestyle "You can never be too young, too rich, or too thin". Money made this world go round. Everything and everyone could be bought, just depended on how much. Drugs propelled many in the modern world of technology. Anyone could get rich so long as you’re willing to pay the piper. This entire lifestyle didn’t take too long to burn out and completely crash. The music and media of this time were very eclectic, bringing the end to disco and the beginning of the Kings of Metal, Michael Jackson began to become white and disturbed, and Milli Vanilli had just begun their scandalous journey. Pee Wee’s Playhouse was hysterical and entertaining. Unfortunately these icons of the media we all looked up to had a tremendous downfall. Some of the Kings of Metal still are out there rocking hard. However, the time for a lot of this is long gone. Stadium rock was beginning to bud and the artists who use to rock, for the most part still do. The newer artists somehow don’t carry the deifying qualities that the old school rockers did. The biggest event I remember is the Challenger Space Shuttle that exploded in 1986. It was the first to have a teacher in space who was a local hero for us since she was from New England. It was absolutely devastating and had grounded the shuttle fleets for the next two and a half years. It did fuel a generation to explore space travel and space exploration, but that tragic day still holds a place in our souls. After all is said and done, it was an interesting time to be alive, but I wouldn’t want to repeat it ever again. So when you hear the scintillating thrill of an early synthesizer or a tune that makes you want to break down and dance, think of the 80’s and just see how far we have come from the days of the Mullet and such tubular radness…Not!! Check out Emily's gorgeous accessories here! Twenty years ago today you would have found me watching The Smurfs and eating Cap’n Crunch in my Barbie pajamas while the musical stylings of Easy E wafted in from the other room. The year was 1988 and what is probably one of the greatest decades for creativity was still going strong even though it was supposed to be winding down. The 80s were so significant to various types of art and culture in fact, that they actually ended up continuing into the early 90s! Headbanger’s Ball ring a bell? If I could choose just one word to describe the 80s it would be: fun. I grew up in the 80s and like anyone’s childhood, mine was a mixed bag of highs and lows and many things that were the complete opposite of fun. But even during the lows, living in a broken home, enduring abuse and all the other negative events that happened during that time I could always escape to my Care Bears. An imaginary world of characters with names like Apple Dumpling and Orange Blossom was only a short roller skating trip down the street to my friends house. Saturday mornings were, of course, the best though. A marathon of cartoons would play. One after the other from She-Ra to The Muppet Babies to Ghost Busters and they were all rad! Later, movies and music would capture the interest of Generation Y kids like me. How can one not love the decade that gave us John Hughes movies and New Wave? The 80s saw the advent of Hip Hop which would go on to inspire artists across the board. The 80s brought us one of the greatest science fiction trilogies of all time! No, not that one, I’m talking about Back to the Future. Doy! And only in the 80s could Whitney Houston, Madonna and Guns N’ Roses co-exist at the top of the charts. Such diversity in all areas of pop culture were rampant during this time as would never be seen in quite the same way again and goddamit I miss it! Let’s also not forget one of the most explosive elements of the 80s: fashion. Ok I know what you’re thinking, “Come on Lux, shoulder pads? Workout wear? Acid wash jeans?? !” I won’t lie, a lot of experimenting was going on, to put it mildly. There were a lot of crazy trends. (Anyone remember the Hair Bear?) There were a lot of misses and a whole lot of WTF is that and who let you out of the house? But there were also a lot of hits. How many 80s revivals have there been in fashion in just the last ten years? Think about it, as far as trends go how many times have we seen the off the shoulder top? Or how about leggings? How often have today’s designers looked to the past, specifically the 80s, for inspiration? More times than I can count. While the most recent revival seems to be winding down, rest assured it will be back. Fashion in the 80’s was so wide-ranging that it will be a while before we finally run out of ideas to steal borrow. It may be hard to imagine the rainbow striped tracksuit coming back in style, but hey that’s what we thought about unflattering high waisted jeans with (shudder) tapered legs. Say what you will about fashion in the 80s, but it was never boring. So in short, if you grew up in the 80s you were a part of one of the most interesting and fun times in history as well as one of the most visually and musically creative. If you were an adult in the 80s, you were probably still recovering from the 70s. And if you missed them completely you are now the consumer of a pop culture that is so desperately trying to re-create the glory that once was. Self-proclaimed jack of all trades and master of none, Lindsey, is known for her fun and funky 80s inspired style. 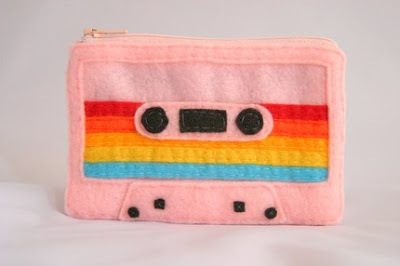 Items like mix tape pouches, floppy disk pins and calculator watches (!) 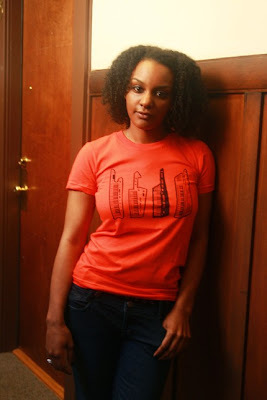 share space in her Etsy shop along with the cool retro 80s style tees that first got my attention. Upon further inspection of her inventory I have decided that I want one of everything. And it appears that so do many others. Lindsey, who is based in Oakland, tends to have a lot of repeat buyers. 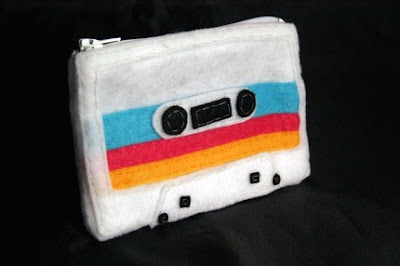 It’s the same thing as trying to eat just one chip, you can’t have just one mix tape pouch. They come in so many cool color combos that it’s hard to choose a favorite. 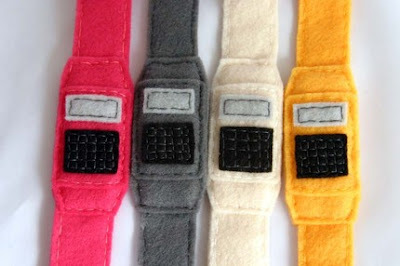 And who could pass up the chance to own a calculator watch? It’s a total conversation piece. You know that everyone is going to be asking you where you got it! With t-shirts and accessories inspired by the likes of Jem and the Holograms, nerd culture and even Lindsey’s own older brother; Brave Moonman is a total find for fans of 80s nostalgia. And it’s all operated by an artist who is barely old enough to remember the 80s! With a degree in Apparel Design and Merchandising under her belt, Lindsey passed on getting a conventional job in the industry and started selling on Etsy in 2006 under the username lindseyporter. (She later opened an account under the name BraveMoonman.) Like many of her fellow “craft-trepreneurs” she resists the idea of a schedule and prefers to set her own hours. Also like so many of us, she was crafting practically out of the womb and couldn‘t imagine herself doing anything lame like working in a cubicle. 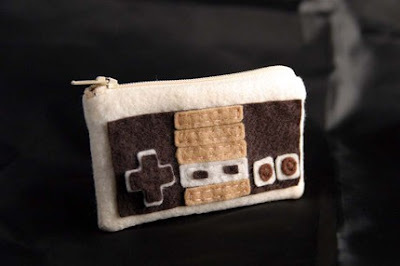 When her signature Nintendo pouch became a popular item a friend suggested that she make cassette tape pouches and then those took off as well. The idea machine kept right on humming. Since then she has expanded her collection to include other items like her adorable mini 2X2 inch original paintings and my personal favorite: the black on gold tiger print t-shirt. For now, Lindsey is taking her business one happy customer at a time. Despite her lack of “real” work experience, 100% of her buyers agree that her customer service is excellent. And it’s pretty obvious her product will keep people coming back for more. While she doesn’t know her ultimate direction, she is having fun and enjoying her craft and all the support she gets from fans of her work. The only thing that’s missing is your appreciation photo! Get your dope Brave Moonman gear here.